American Company Bedrock Industries Group has reached a deal to buy beleaguered U.S. Steel Canada, U.S. Steel announced today. The sale is subject to court approvals. In a statement, provincial minister of finance Charles Sousa called the move an important step towards the former Stelco's restructuring that will "save jobs, protect pensions and assist in providing post-employment benefits for active and retired employees at USSC's Hamilton and Lake Erie facilities." The agreement comes as the latest in a lengthy restructuring and court process that continues to roll on — and one that is certainly not complete. While the province has a rosy outlook about the news, the steelworker's union has a decidedly bleaker one. Bedrock is a private equity investment firm that buys distressed companies and restructures them. The company and the province announced a memorandum of understanding back in September. Steelworkers Local 1005 president Gary Howe told CBC News that the union is not looking at this news positively. "It's interesting that two American companies are negotiating in secret to purchase a Canadian company," he said. "Meanwhile, the pensioners are going to take the hit. "This whole process is not geared towards workers or people, it's geared towards making money." 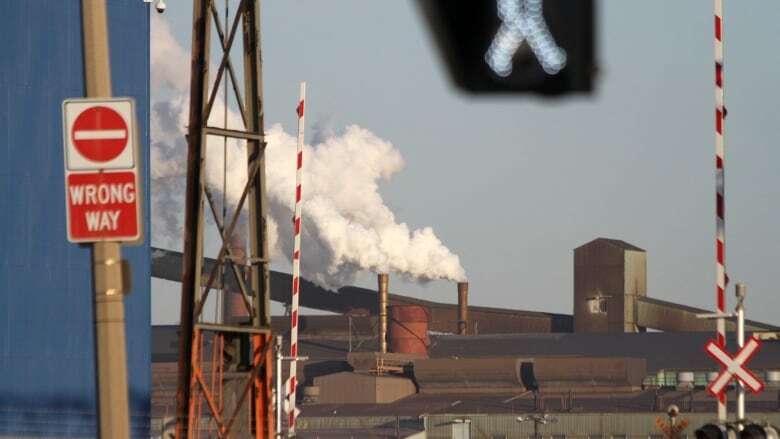 U.S. Steel Corp. purchased the struggling Stelco in 2007. The sale involved a private agreement with the federal government that USW and Hamilton city officials have long feared would eventually hurt pensioners. In 2014, citing millions in losses, U.S. Steel Canada (USSC) entered bankruptcy protection under the Companies Creditors Arrangement Act (CCAA). The memorandum of understanding that the province signed off on with Bedrock back in September lays out mostly confidential terms for restructuring that might be permitted for the company. The union says that it has not seen the details of that deal, and is once again in the dark. In his statement, Sousa said that all details will remain confidential "until they can be released pursuant to a court process." Howe says he expects the court process for the sale and what it will mean for local pensioners to continue well into 2017.